Happy Monday friends!! Last week I shared some of our favorite plant-based meals from last year and we are back at it trying some new ones this month. 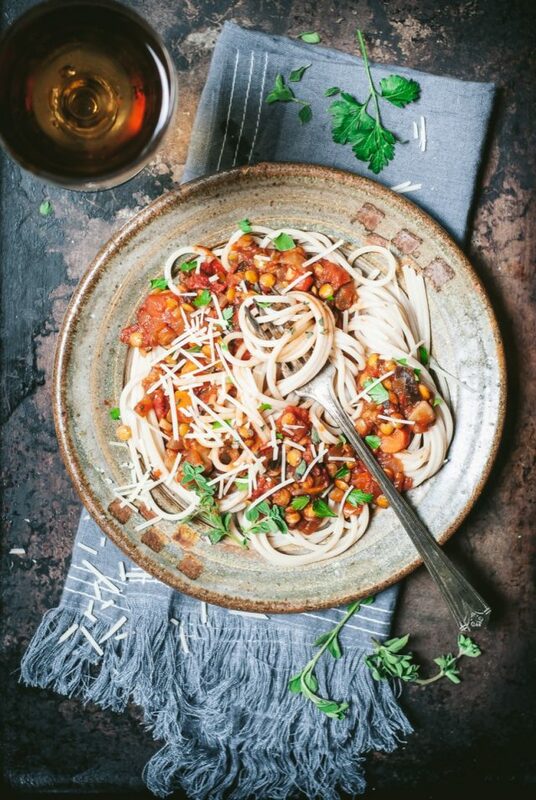 This Hearty Vegetable & Lentil Marinara was a winner at our family table last week! And then added some lentils and crushed tomatoes and let it simmer. One of the best parts of this sauce is that I felt it made enough for two meals. I used half for dinner and froze the other half to use another night. Cook one and eat twice? Sign me up! We used it as a topping for spaghetti, but I think it would also be delicious with a penne pasta. Mix it all together, sprinkle a little cheese and have a yummy pasta bake! You can grab the entire recipe here. Have the best week friends! See you soon, there is always room for one more at our family table.